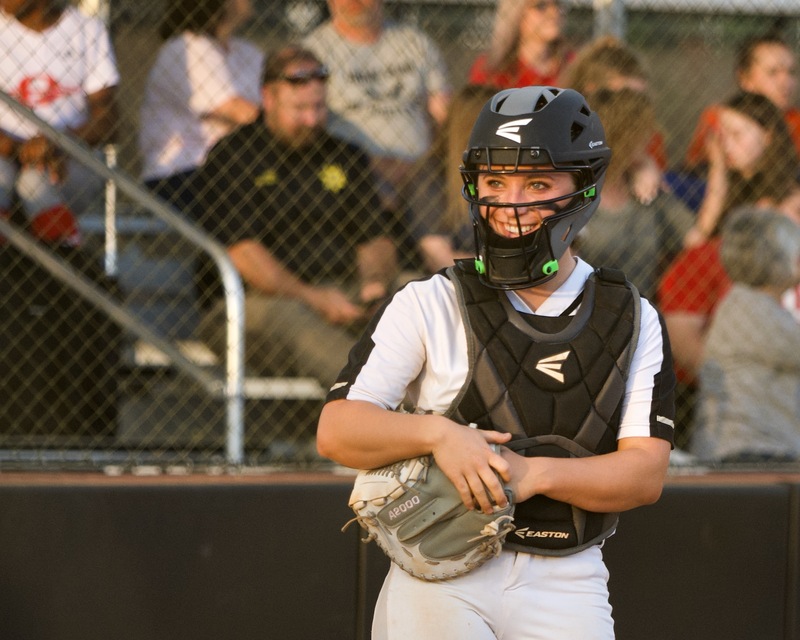 Oxford vs. Piedmont, 4:30 p.m.
Oxford-Piedmont winner vs. White Plains, 6 p.m.
Championship game: Alexandria vs. Loser’s bracket winner, 7:30 p.m.
Championship game: If necessary, 9 p.m.
OXFORD — Brian Hess stood along the third-base line filling out his lineup card lamenting his team’s recent struggles producing runs. 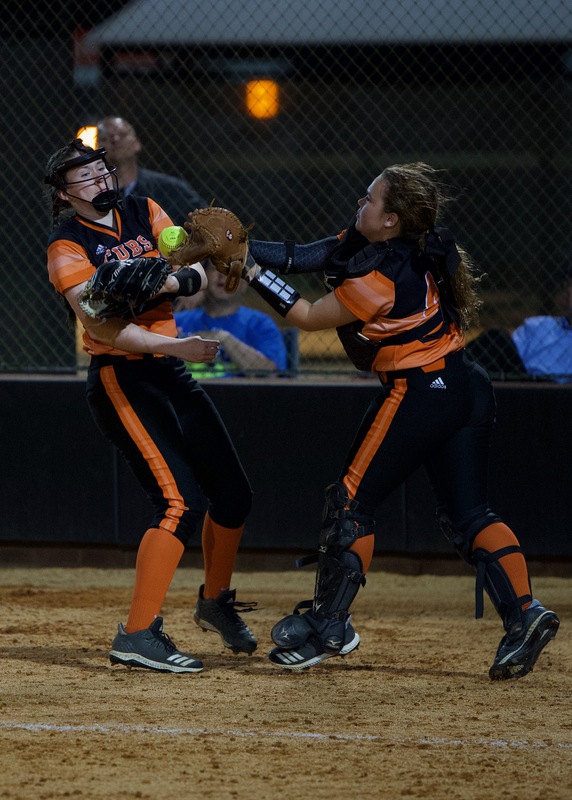 It’s been all pitching and defense of late for Hess’ Alexandria softball team, which really isn’t a bad combination in this game. 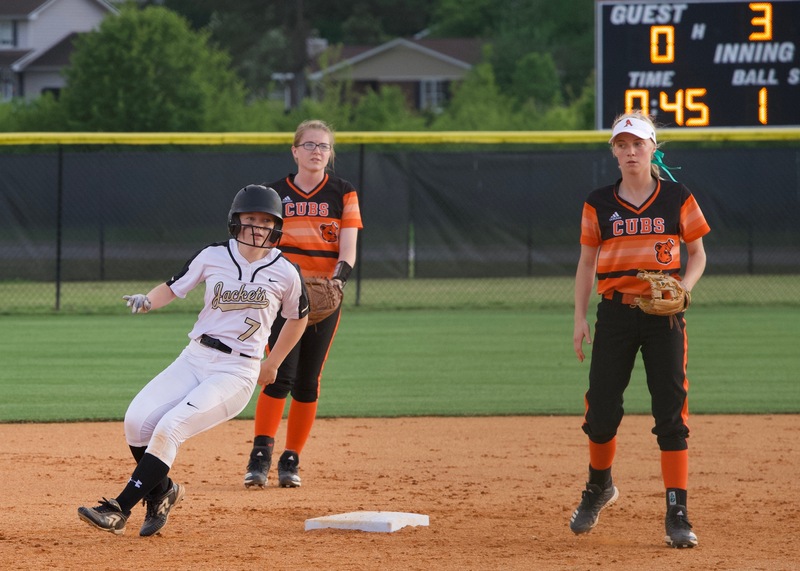 The Lady Cubs’ bats came alive at the most opportune moment Thursday, erupting for five runs in the third inning of a 5-0 win over White Plains in the winners bracket final of the Calhoun County Softball Tournament. The Lady Cubs await what remains of the field — Oxford, White Plains and Piedmont — resting until Friday’s 7:30 p.m. Signature Field final. 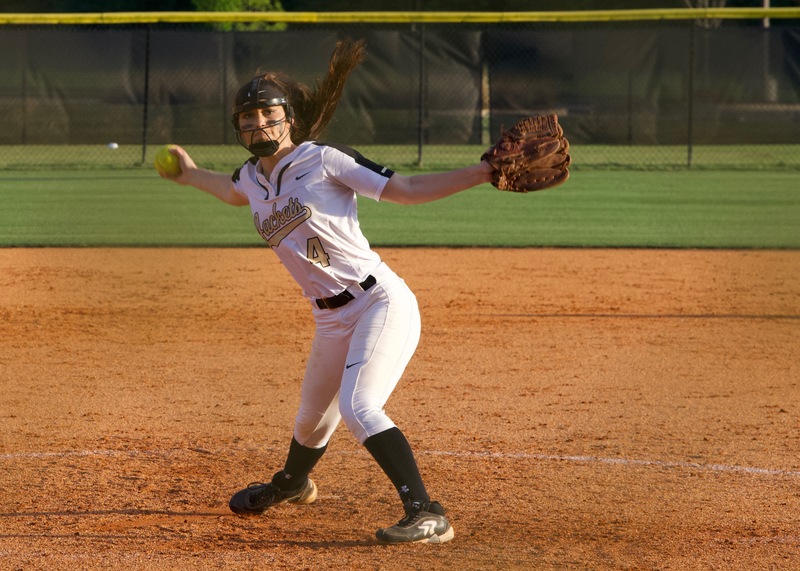 When you get the kind of pitching the Lady Cubs have been getting from Maggie Phillips (and Lanie Dreyer) you don’t have to hit much. Get them working all at the same time, though, and you’re virtually unbeatable. 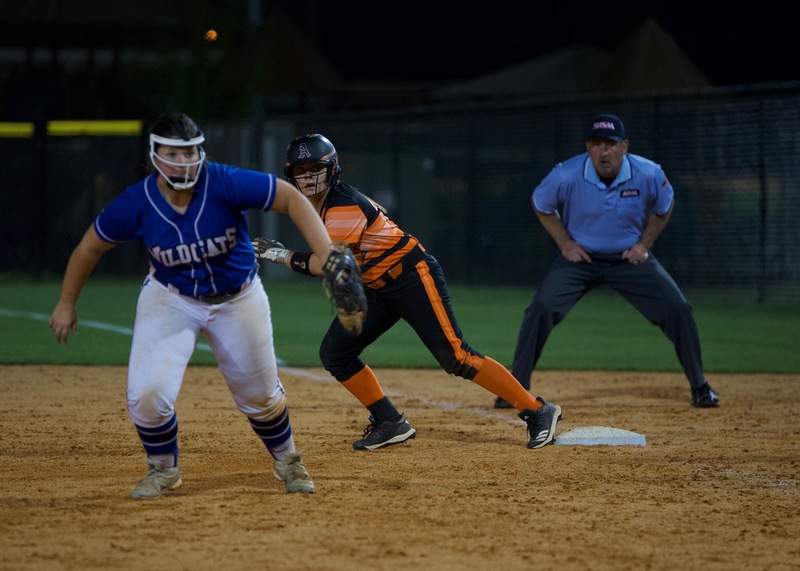 Phillips shut out Oxford (2-0) and White Plains (5-0), a pair of formidable opponents, on a total of four hits. 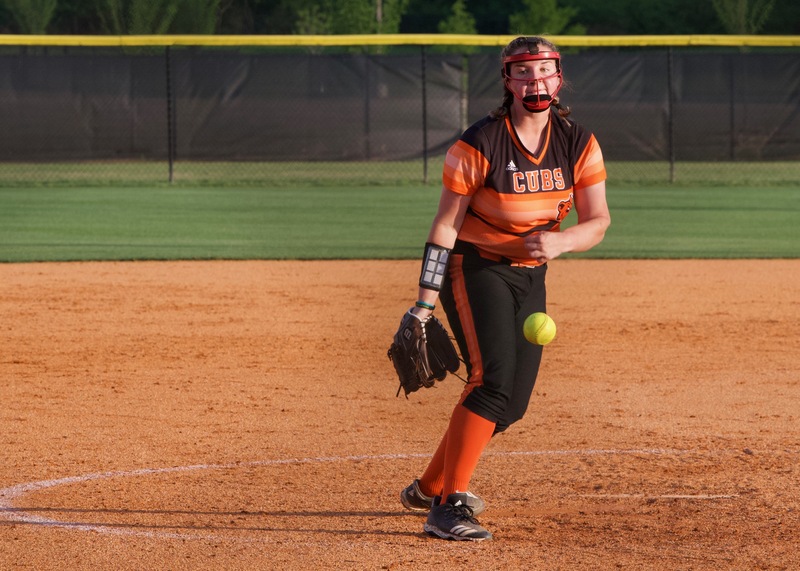 The senior left-hander pitched a three-hitter with nine strikeouts against Oxford and a one-hitter with four strikeouts while tiring against White Plains. 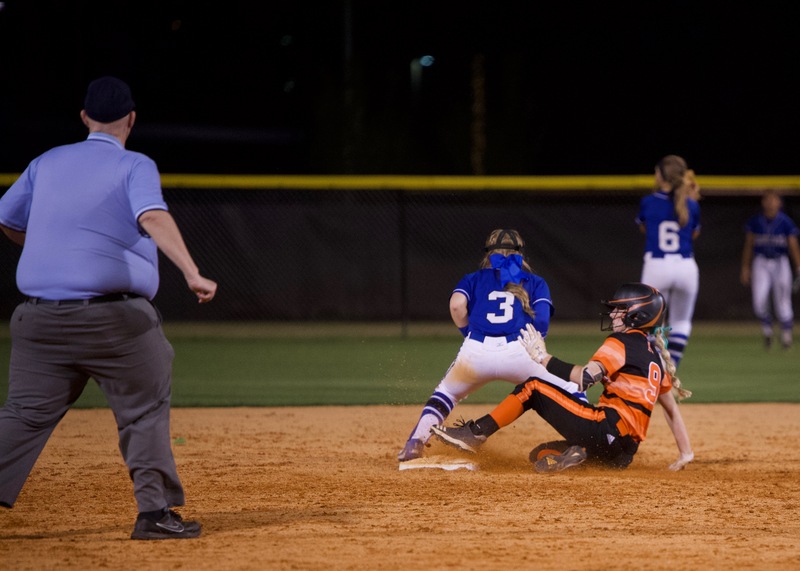 The Lady Cubs have yet to give up a run in the tournament. 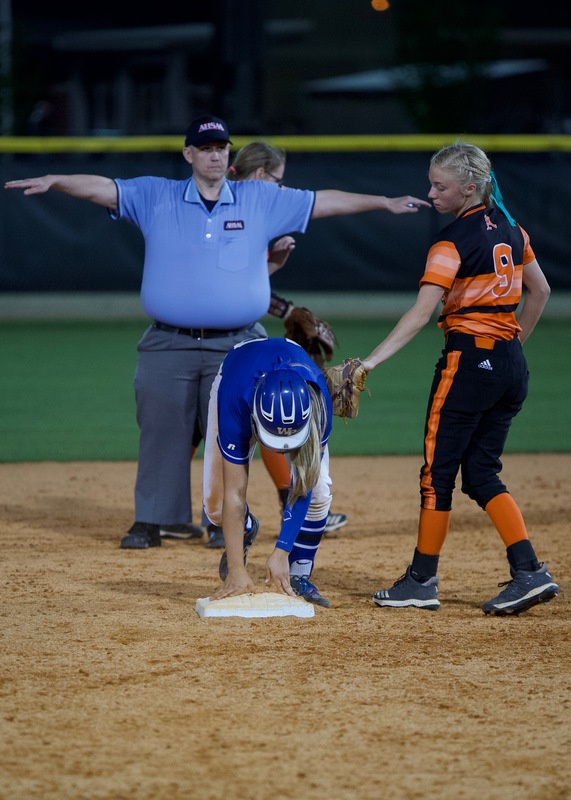 In both games Logan Irwin got the hit that put the Lady Cubs ahead. 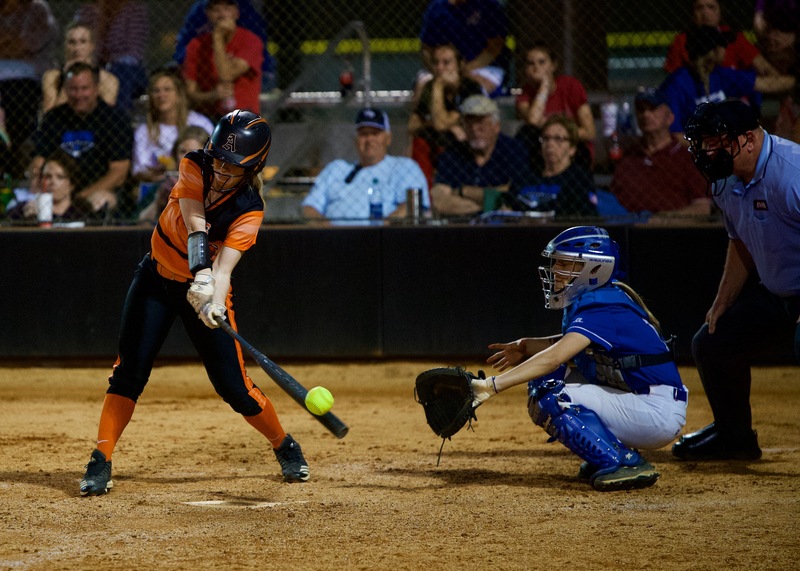 Her two-strike bloop into left field in the fourth inning broke a scoreless tie with Oxford and relaxed Phillips for the rest of the game. 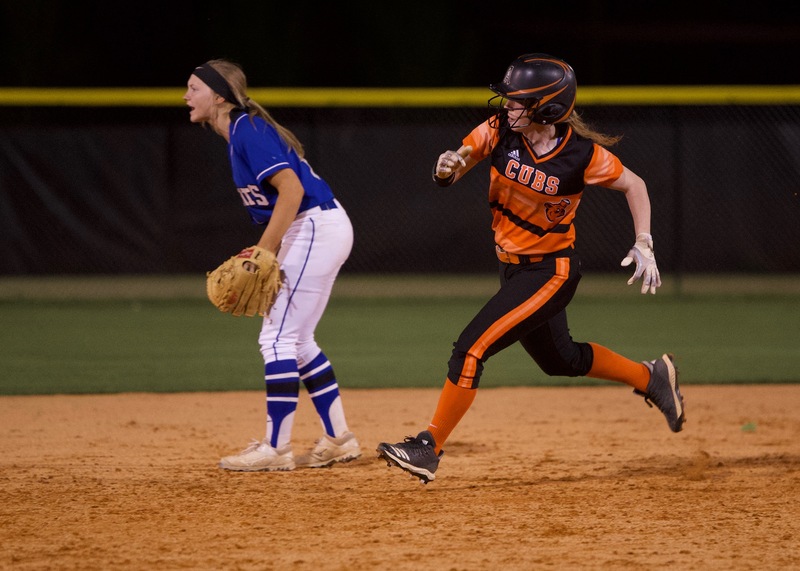 She drove in the first two runs of the five-run inning against White Plains with a shot that got through the second baseman. Mattie Wade had a RBI triple later in the inning and went 3-for-3. Ashley Phillips followed with an RBI double and Maggie Phillips has an RBI single. 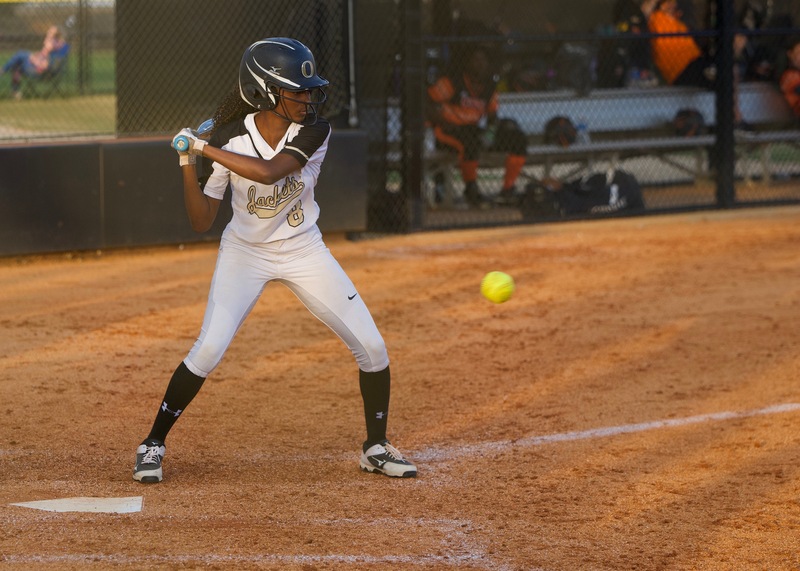 The Lady Cubs had seven hits against Oxford, six against White Plains. Hess called the two games Thursday, outside of a couple plays, the best defensive games his team has played all season. 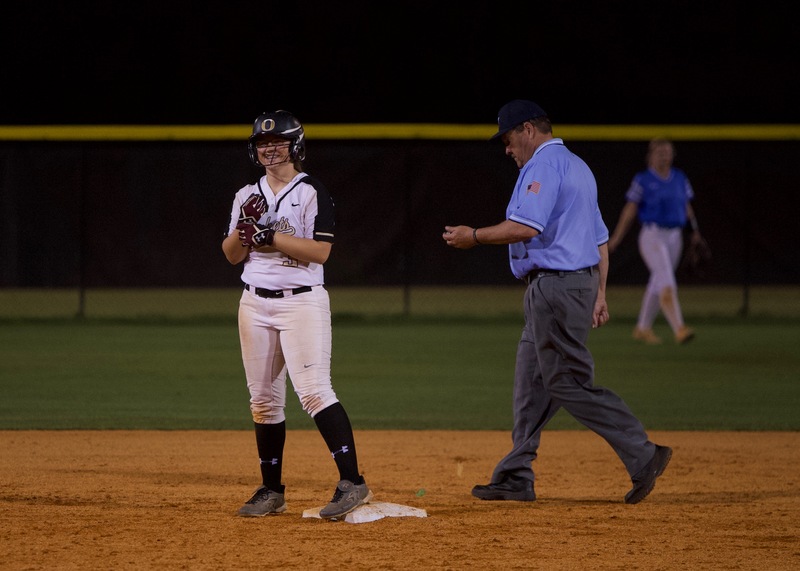 Oxford stayed alive with a 5-3 win over second-seeded Pleasant Valley behind Bailey Clark’s 3-for-3 day and homers by Cohlee Boone and Sarah Howell. 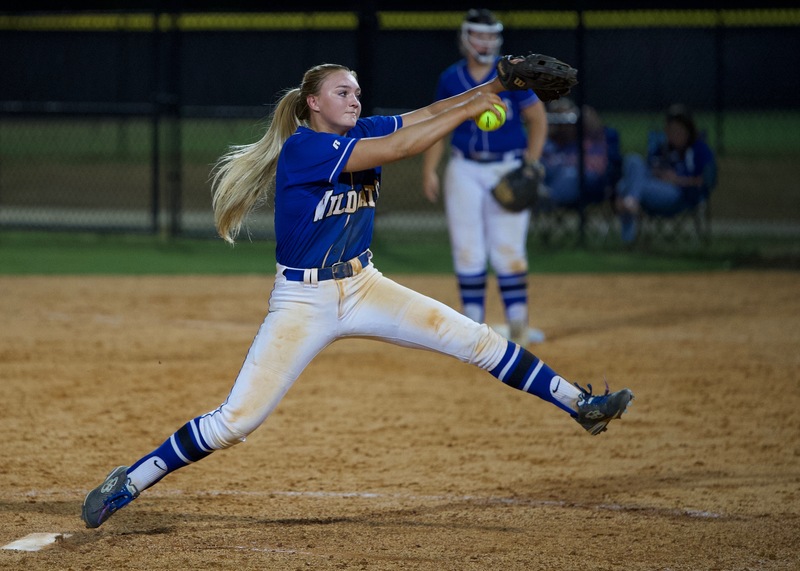 Piedmont stayed alive with a 6-5 win over Wellborn on Kenzie Tolbert’s walk-off double. WP: Maggie Phillips.LP: Emily Thrasher. 2B: Kodie Williams (A). WP: Maggie Phillips. LP: Emma Jones. 2B: Ashley Phillips (A). 3B: Mattie Wade (A). WP: Emily Thrasher. LP: Leah Patterson. 2B: Bailey Clark (O), Harris (PV). 3B: Bailey Clark (O). 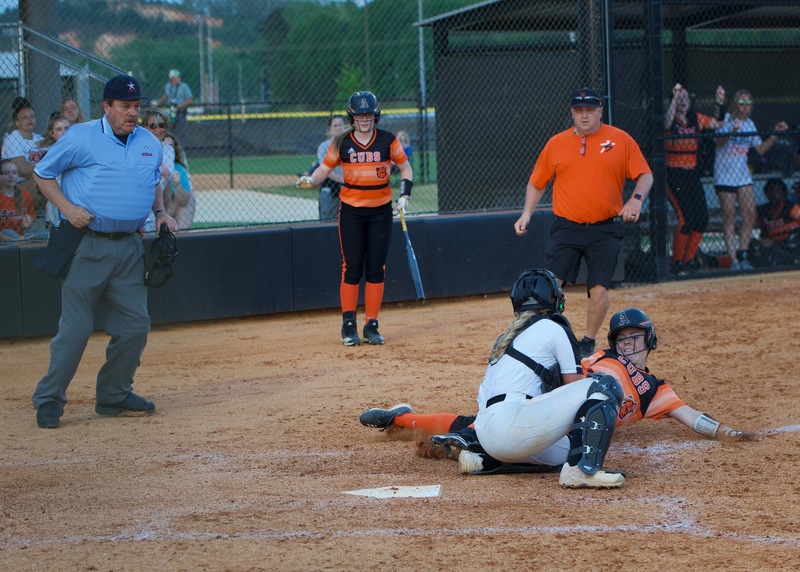 HR: Cohlee Boone (O), Sarah Howell (O). 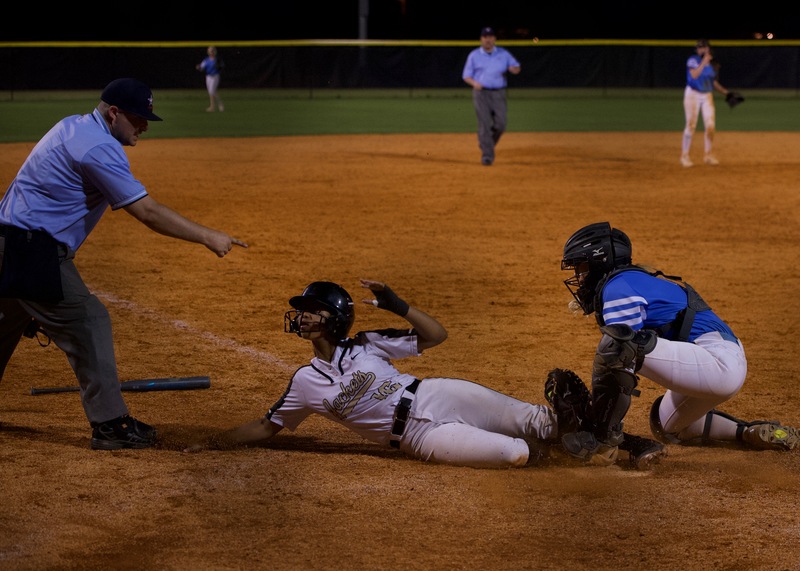 Pleasant Valley catcher Krystal Brown (R) keeps Oxford’s Justice Wood from scoring in the third inning of a 3-3 game. Enjoy the following gallery of photos taken by B.J. Franklin.